Last night, I remembered the grueling Tough Mudder workout that I loved to hate from last summer, and I realized that it would be a great way to maximize my workouts in a hotel gym that lacks both space and equipment. Burpees and push-ups and squat jumps, oh my! When I woke up this morning, I wasn’t feeling my best, so I compromised by tackling just half of the prescribed workout, and that was enough to get my heart pumping and sweat streaming into my eyes. I think Jack was doing an impression of me after my workout in the video above. I was a little grumpy about the fact that just half of the workout- when I’ve done the ENTIRE thing before- was a challenge today, but I was pleased that the running parts were not as tiring as they were last summer and I was running at a faster pace than I had 10 months ago. Looks like all that running for my 10k paid off! 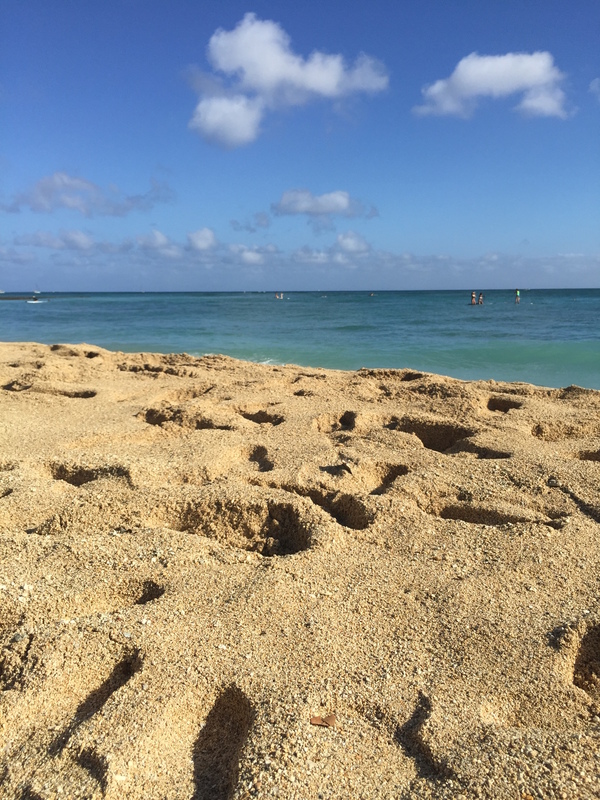 Moving is an absolutely terrible experience, but Don and I finally arrived in Oahu about a week ago. Now that the frantic flailing at the airports to get the cat & dog on the planes with us, and the waiting in endless lines for passport control as the clock ticks closer to boarding time, and the struggle to fit ourselves, our luggage, and two kennels on airport/hotel shuttles is over and the four of us are snuggled into our room at a motel where we will live until we find housing (advice to anyone considering a move to Hawaii- don’t get a dog that will weigh more than 20 lbs when fully grown! ), I finally have time to resume some facsimile of my workout routine. The island of Oahu is a beautiful, tropical place. 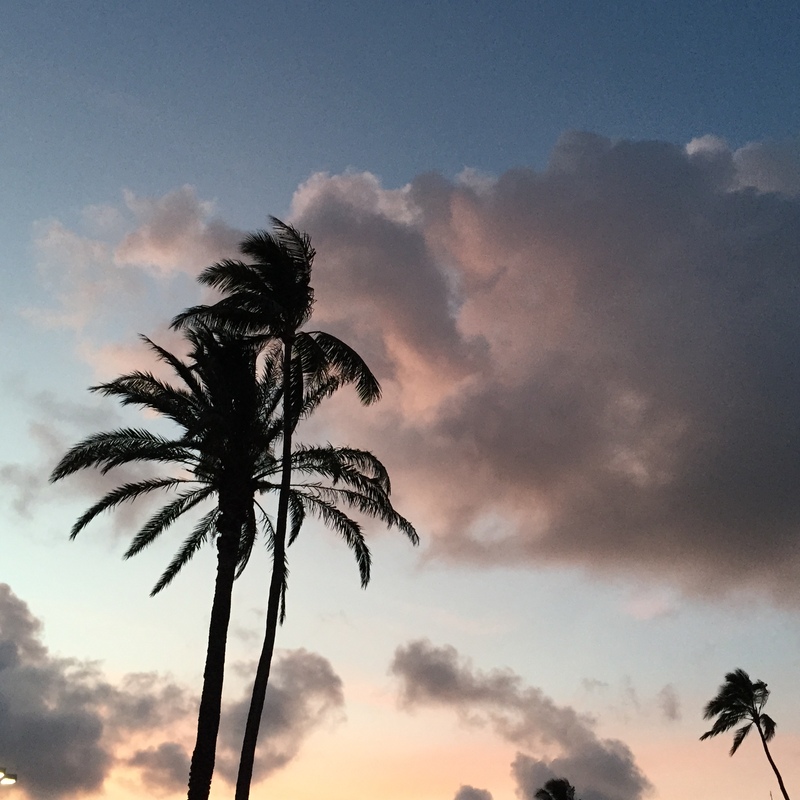 The air is perfumed with the fragrance of flowers that I can’t yet identify, the ocean is visible from the highway, and the Polynesian sun is bright… and hot. Good lord, it is so HOT here! I have to take Jack for a walk immediately after breakfast before the pavement has time to heat up and scorch his little doggie paws, and I melt into a puddle of sweat after sitting in the sun for only a short time. I know I shouldn’t be surprised at the heat, but arriving into full-blown Summer after coming from the cool German Spring was a shock to my system. I had imagined I would do a lot of running to stay fit while we settled into island life, but I haven’t been able to bring myself to brave the heat yet. Luckily our hotel is equipped with a gym. As far as gyms go, this one is very small and outfitted sparsely. There are two treadmills, one elliptical, one stationary bike, a couple of exercise balls, a set of dumbbells, and one of those weird do-all exercise machines that nobody really knows how to use. I was disappointed to discover, on my first trip to the fitness room, that both of the 15 and 20 pound dumbbells are missing from the set, so there aren’t many options for weight training for me. Because of this, I was delighted to discover a Bosu ball leaning in a corner of the gym. 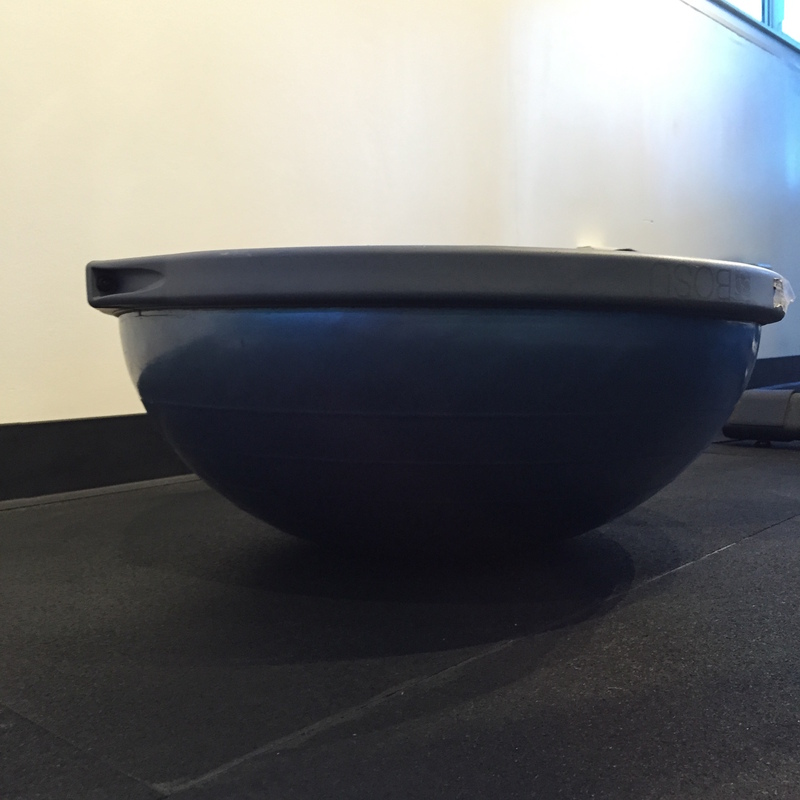 For those who are not familiar with the Bosu and all of the wonderful things it offers, it is basically half of an exercise ball that has a hard plastic platform on the flat side. The rounded portion is inflated and has a little give, and is strong enough to support your bodyweight. 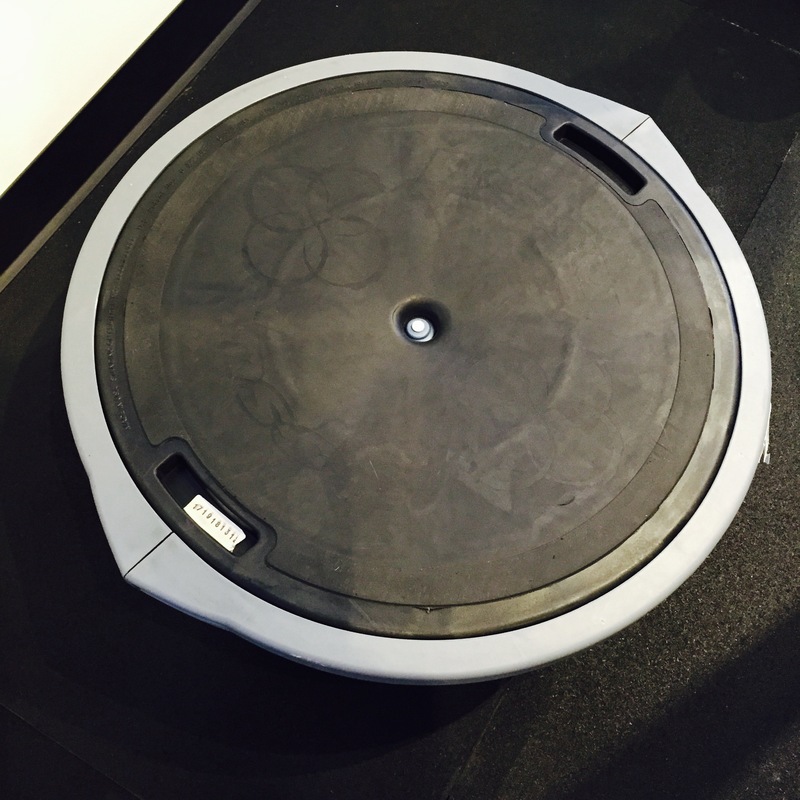 You can incorporate the Bosu into your workout pretty much any way you see fit (and safe). 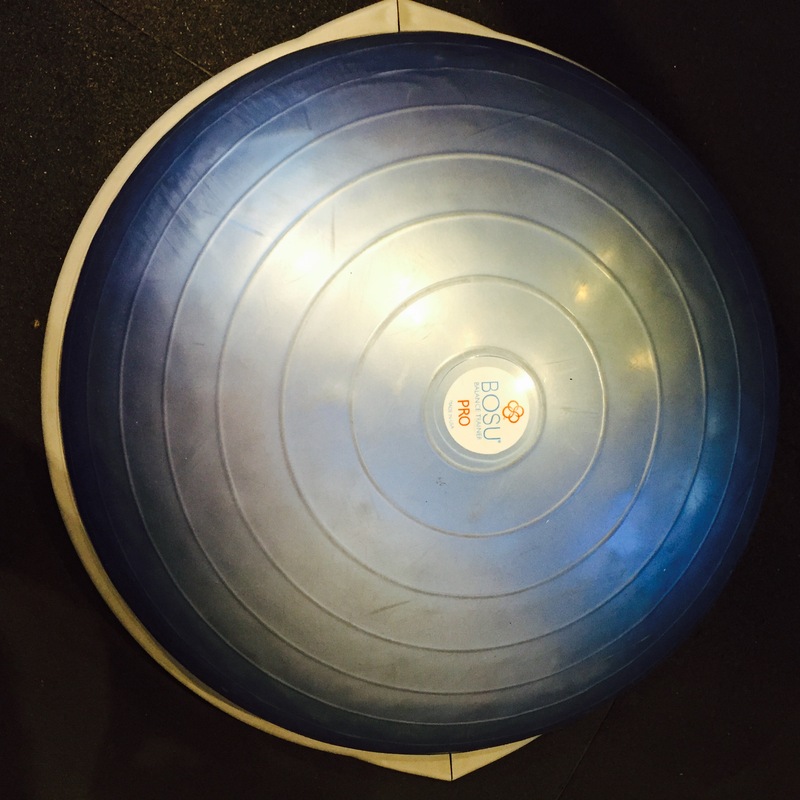 The great thing about the Bosu is that when you use it with ‘traditional’ exercise moves (for example I’ve been using mine for push-ups and squats) it makes them more challenging because along with the effort of the original move, you are also using your core muscles for stability. As I said, I’ve been using the Bosu to pump up the effort required for push-ups and squats. For both exercises, I turn the Bosu ball-side down. When doing a push-up, I grip the platform by its little indented hand-grippy thingies, do my push ups and the ball wobbles from side to side as I struggle to maintain my balance. For the squats, I stand on the flat platform and do my squats on top of the Bosu while trying to maintain my balance- a word of caution, be careful getting on and off the Bosu! This has helped me use my own body weight and the challenge of maintaining stability on something that is intended to be unstable to keep my muscles strong along with the exercise I’m getting from the cardio equipment. I’ve seen the Bosu used with other exercises, so you can get creative and see if one will help you step up your workout! Since the gym is usually absolutely empty and the hotel has free wifi, I have been contemplating bringing my computer with me and letting Jessica Smith school me in at-home working out. Earlier today, I found this squat challenge from Refinery29, and I think I’ll give it a go with my Bosu buddy. In the meantime, does anybody have any recommendations for sunscreens they absolutely love?